Valentine’s Day is quickly approaching. While you can shower your love with gifts and candy on February 14th, think about giving the gift of pink with these select items from Filters Fast. 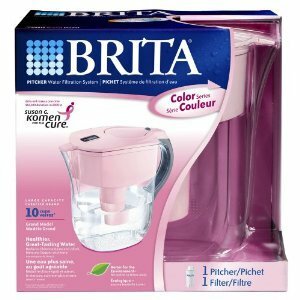 The Brita Grand Water Pitcher Filter is a water pitcher filter with a lovely pink lid that provides you with great tasting and fresh water in your home. Simply fill the pitcher with tap water and the filter will reduce lead, copper, cadmium, mercury, benzene, toluene, tetrachloreethylene, sediment, dirt, rust, and more from your water. Featuring a flip top lid, soft grip handle, and electronic filter change indicator, this pitcher is an ideal gift. 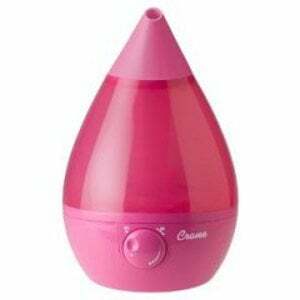 The Crane EE-5301 Ultrasonic Cool Mist Humidifier-Pink provides relief from cough and cold symptoms, including congestion, sinus irritation, and dry skin. This humidifier arrives in a memorable pink drop-shape that will fit perfectly in any room in your house. This cool mist humidifier can run for up to 24 hours on its medium setting and does not require a replacement filter. 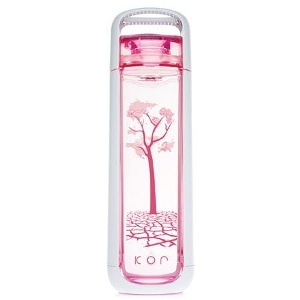 The� KOR ONE Special Edition Orchid Pink Bottle 750 mL is a reusable water bottle with an elegant orchid pink design and elliptical shape. This BPA-free water bottle offers consistent hydration along with an eye-catching design. With a 25 ounce (750 mL) capacity, this water bottle is perfect for those on the go. The Vapur Anti Bottle Water Bottle – Pink 16 oz. 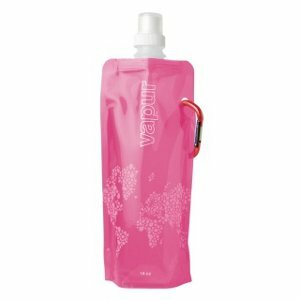 is a reusable Vapur water bottle with a revolutionary space-saving design and sleek pink design. Vapur water bottles are extremely flexible and almost entirely collapsible. They are designed to fit where ordinary water bottles do not. This bottle can be flattened, folded up, rolled up, and more for easier carrying and to save valuable space.